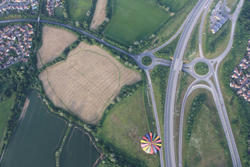 Welcome to Essex Balloons the longest running provider of hot air balloon rides in Essex and one of the longest flying balloon flights operators in the South East. We provide champagne hot air balloon rides throughout Essex from a variety of locations close to the towns of Colchester, Chelmsford, Billericay, Brentwood, Basildon, Harlow and Chipping Ongar. 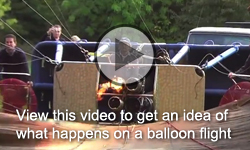 Why Choose Our Champagne Hot Air Balloon Flights over Essex? 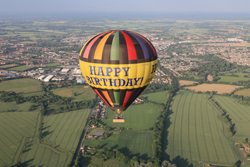 Hot air ballooning in Essex is probably the most romantic way to fly and is a wonderful gift idea with a difference for birthdays, anniversaries, Christmas or just for sheer indulgence. Few can resist the attraction of watching a ballon float gently past on the breeze. Ballooning feels free and natural. Despite being high in the air you will be surprised how secure you feel in a modern hot air balloon. Purchase a flight voucher now and experience the freedom and romance that has made a flight in an air balloon the theme of adventure and legends. Over the years we have accumulated a wealth of hot air ballooning knowledge about Essex that has contributed towards making our Champagne hot air balloon rides over Essex an unforgettable experience. 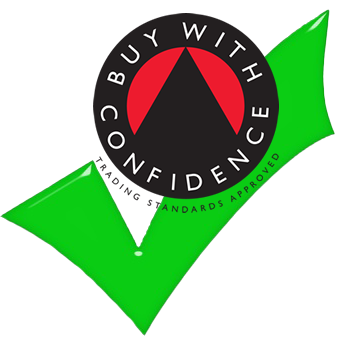 We have been approved by Essex Trading Standards and are part of their Buy With Confidence scheme. Whether a single person joining one of our groups or a couple sharing the experience together, all passengers are made to feel involved and welcome on our hot air balloon rides. We often have more than one balloon taking off with us making the event more exciting and ideal for photos. Essex Balloons offers not only a hot air balloon ride but also the opportunity to become involved in the preparation of the balloon before take-off and the pleasure of enjoying a glass of Champagne at the end of the flight. A Morning or Evening Hot Air Balloon Flight? Hot air ballooning is probably one of the most romantic ways to fly and few can resist watching a hot air balloon float gently by. All hot air balloons either fly in the early morning, shortly after sunrise or towards the end of the day in the early evening, normally a few hours before sunset. Typically this is the time when the breeze is most gentle and the air is stable, ideal for hot air ballooning. See Essex towns, villages and countryside from a new prospective either in the crisp freshness of an early morning flight or relax with an evening flight as the sun sets casting long shadows over patchwork fields. Our Champagne hot air balloon flights consist of welcoming our passengers to one of our take-off sites, preparing the hot air balloon and inflation. Flying for about an hour or so and landing to be met by the ground crew at the end of the flight. A glass or two of Champagne or soft drink to celebrate the occasion and transport back to the take-off site to complete the whole experience. Please allow 3 - 4 hours from start to finish. Throughout Essex we have several popular take-off sites. Billericay and Brentwood area, Chelmsford, Kelvedon near Witham, Braintree, Earls Colne near Colchester and Gosfield near Halstead. These are easy to find and have good parking. The type of hot air balloons we use are all the latest modern passenger balloons. They have large compartmented baskets that give a much greater feeling of stability and comfort, the larger the balloon the greater the stability and feeling of security. Currently in Essex we fly the largest passenger hot air balloon in Britain. 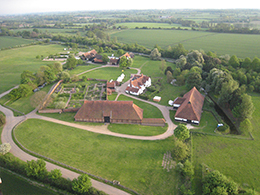 Feel secure and relaxed as you float over towns and villages throughout the Essex and Suffolk countryside.